CPU speed - password recovery speed comparison. 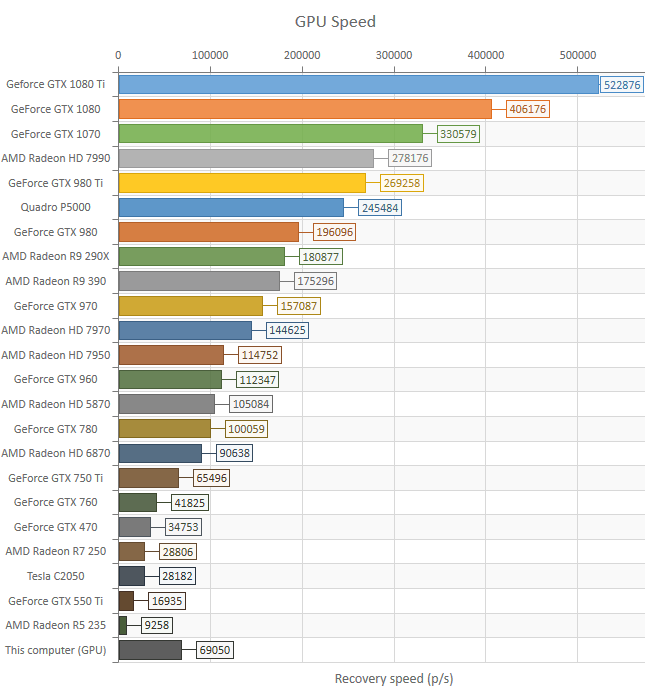 GPU speed - password recovery speed benchmarks for GPU devices. Cracked users - displays the number of cracked entries. The full list can be saved to text file optionally. Cracked users and passwords - displays the list of cracked entries and passwords.